Darjeeling. The Gorkhaland Territorial Administration has decided to remove a toll plaza on Rohini Road from January 1 next year. The Rohini Road, the most popular route to Darjeeling from Siliguri, is the only road in the hills where toll is levied. 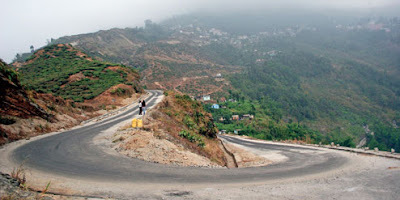 Rohini connects Dudhia Road with NH55 in Kurseong. "We have decided to do away with the toll plaza on Rohini Road from January 1," said Binay Tamang, who was recently named the chairman of the board of administrators at the GTA. "The GTA seems to be getting Rs 40 lakh annually from the toll plaza while it is spending approximately Rs 2 crore per annum on its maintenance. It makes little sense in taxing the people along one road, that too for a stretch of 11km," said Tamang. "This is why we have decided to do away with the toll plaza." The GTA had hired a private company to collect toll on the Rohini Road in December 2013. The hill body had to revise its tariff twice in a week following opposition from transporters. The tariff was initially fixed at Rs 150 for trucks but brought down to Rs 30. Similar was the case for other vehicles, such as luxury cars, whose rate was brought down to Rs 40 from Rs 100. The minimun toll was R 5 for two-wheelers. The Gorkhaland Territorial Administration has decided to remove a toll plaza on Rohini Road from January 1 next year.